Naturopathy, as defined by the National Center for Complementary and Integrative Health, is a medical system that has developed from a mix of traditional practices and health care approaches widely known in Europe during the 19th century. Also referred to as naturopathic medicine, it is practiced because of many health-related purposes, such as primary care, overall well-being, and treatment of illnesses. Naturopathic medicine is based on the belief that the body can heal itself naturally and aims to enhance health, prevent disease, and treat illness. It is practiced by naturopathic physicians, traditional naturopaths, and other health care providers who also provide naturopathic services. According to an entry by MedicineNet.com, naturopathy is a system of therapy that lies on preventive care and the use of physical forces, such as heat, water, light, air, and massage as main therapies for disease. 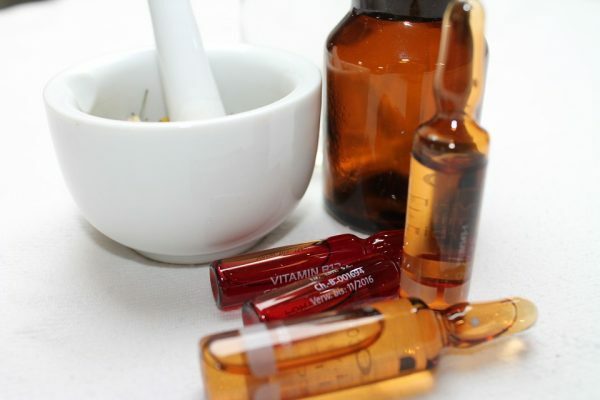 There are different approaches that naturopathic practitioners use for different treatments. These include dietary and lifestyle changes, stress reduction, herbs and other dietary supplements, homeopathy, manipulative therapies, exercise therapy, practitioner-guided detoxification, and psychotherapy and counseling. Naturopathy promotes overall health as it is used to treat the whole individual instead of only treating a disease or its symptoms. This is because it aims to help an individual maintain a balanced state of good health. An entry by NDHealthcare.com lists the health benefits that naturopathic medicine can provide. Naturopathy can help relieve pain, prevent frequent bouts of cold, flu, and other common illnesses, discover long-term solutions to chronic diseases, slow down the process of degenerative diseases, and attain and maintain an ideal weight. In addition, naturopathic medicine can help attain a higher level of overall fitness, recover rapidly from illness and other challenges, boost energy, find and maintain balance both in the physical and emotional aspects, and reduce stress and improve mood. Naturopathic medicine can also help treat various conditions and ailments, according to an article posted in WellBeing.com.au. These include allergies, arthritic conditions, asthma, back pain, chronic fatigue syndrome, constipation, depression, digestive problems, such as irritable bowel syndrome and ulcers, high blood pressure or hypertension, menstrual and menopausal problems, migraine, and skin problems. The body systems supported by naturopathy include the immune, respiratory, digestive, nervous, cardiovascular, reproductive, and integumentary systems. Naturopathy is a medical system that comes from a mix of traditional and health care approaches well-known in Europe during the 1800s and is based on the belief that the body can heal naturally. Naturopathy is practiced to treat the whole individual instead of only treating a disease or its symptoms. Naturopathy can help relieve pain and prevent frequent bouts of cold, flu, and other common illnesses. Naturopathy can help attain long-term solutions to chronic diseases, slow down the process of degenerative diseases, and attain and maintain an ideal weight. Naturopathy can help achieve a higher level of overall fitness, recover rapidly from illness and other challenges, boost energy, find and maintain balance both in the physical and emotional aspects, and reduce stress and enhance mood. Naturopathy may help treat different conditions, such as allergies, arthritic conditions, asthma, back pain, chronic fatigue syndrome, constipation, depression, digestive problems, such as irritable bowel syndrome and ulcers, high blood pressure or hypertension, menstrual and menopausal problems, migraine, and skin problems. Naturopathy supports the immune, respiratory, digestive, nervous, cardiovascular, reproductive, and integumentary systems.